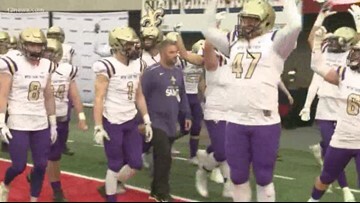 The AAF announced that a bankruptcy petition was filed in federal court in Texas, according to multiple reports. The Raiders may not be playing half their games in Tucson, but that isn't stopping Raider Nation from taking over in Arizona. 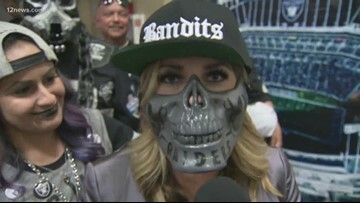 12 News stops by the Raider Fan Fest to see what fans of a team moving to Las Vegas are doing in Arizona. In a letter to AAF employees, the league says that it hopes to secure funding for a second season. 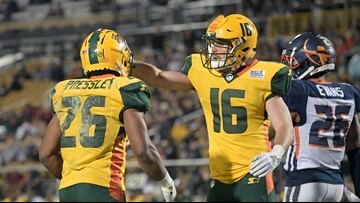 Tom Dundon, the Alliance of American Football's majority owner, told USA TODAY Sports on Wednesday that the fledgling league may fold if it's unable to add players from NFL practice squads to its rosters next season. Former Chandler High School standout Brett Hundley has signed a one-year contract to play for the hometown Arizona Cardinals. 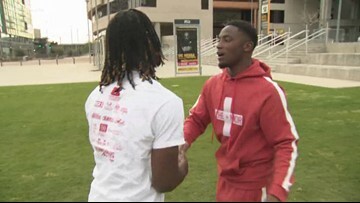 Former Sun Devils Rashad Ross and Robert Nelson are cherishing the opportunity the AAF has given them to showcase their talent for NFL scouts. 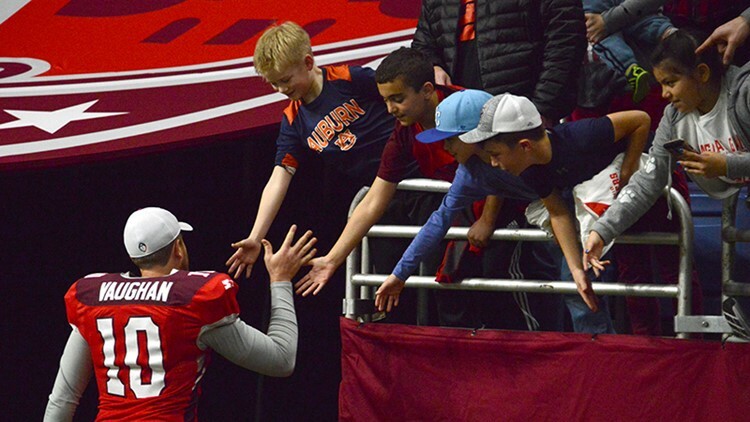 He’s putting his goals out for everyone to see: 88 receptions, 1,406 yards, 15 touchdowns. 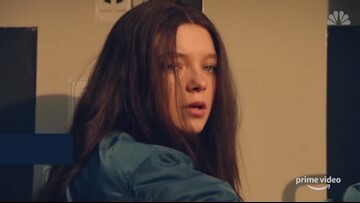 At more than $5-million for a 30 second spot, advertisers are once again going big in this year's Super Bowl. NBC's Jay Gray has a sneak peek. It's a strong piece of trivia lost in the spectacle of Randy Johnson's famous 2001 avian assassination. 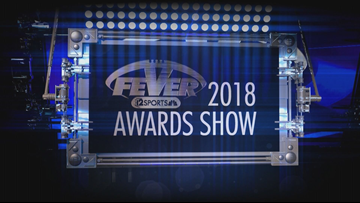 Defensive player of the year, offensive player of the year, coach of the year, the All-Fever Team. Does winning ever get old? 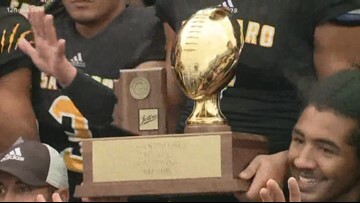 We ask Saguaro as they head to the 4A Championship for their sixth consecutive title against Salpointe. 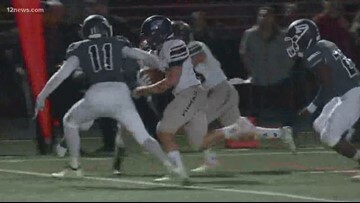 Norte Dame Prep has been thinking about only one thing for a year: revenge. They outline their game plan for pulling out a W against Centennial as the two teams square off for a state championship title. The battle for the 6A State Championship game for high school football it will be a rematch of last year's title game. 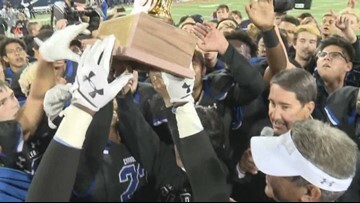 The Chandler Wolves are looking for a three-peat win! Perry's football team is looking to avenge their 2017 loss to Chandler by learning from last year's mistakes. The 6A state title game is on Dec. 1 at 4:30 pm at Sun Devil's Stadium. They say no love is greater than that of a father for his son. Don't believe it? Meet Saguaro's Marqui Johnson and his dad Ron.